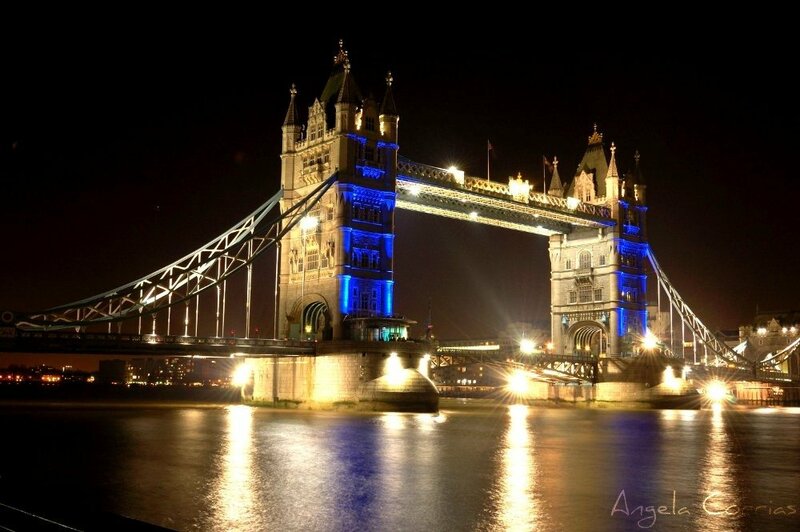 One of Europe’s most popular destinations, there are many things to consider when you decide to plan a trip to London. Are you unsure whether you need a visa or not? Are you planning your London itinerary and don’t know which places to visit? Are you wondering where to book your hotel in London? 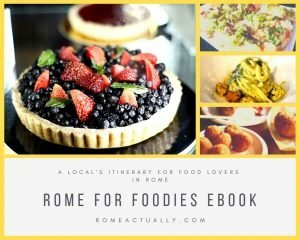 Read on and book that ticket! So you want to visit London? The capital of the UK is a city that every globetrotter has to go to at least once in their life – there’s nowhere on earth that has the same combination of history, culture and modern entertainment, with an endless amount of things to do for any age group. The city of London is magical, but as it is so large, it can be a tad overwhelming. That’s why we’ve put together this London trip planner – to simplify the process for you! So whether you’re backpacking in London or on a trip with kids, don’t fret – here’s a customizable London planner with all the necessary things to do before heading to the city! London is a good idea at any time of year, but depending on what exactly you want to do here, you might want to time your visit for a certain time of year. British summer is officially from June to August; although May and September are often warm and sunny as well. You can never completely rely on British weather for your London trip – it does like to rain here – but if you want to spend a lot of time outside, time your trip for late May to early September. This might be a good time to visit if you are travelling to London with kids, so they can let off steam in some of London’s many parks! On the other hand, nowhere does Christmas quite like London. Oxford Street is just magical (albeit crazily busy) from late November to early January, Winter Wonderland is on, and there is a constant air of excitement everywhere in the city. If you’re a Christmas fan and love the festive spirit of huge cities at Christmas time, seeing London at this time of year is a necessity. London revels in other festivals throughout the year as well, and there is always something to do for each celebration. These include celebrations like Halloween, Bonfire Night (which is November 5th – it is literally a celebration of a man trying to blow up the Houses of Parliament…) and Easter. Throughout the year there are other events like Pride and various other festivals. If you’re not a crowds person, consider visiting London in January, February, March or October (out of school holidays). These are the quietest time of year (January and February being the quietest) and sometimes you’ll nab good restaurant and hotel deals – especially in January. Also, do bear in mind that the closer you get to December 21st the earlier it will get dark in London – for a couple of months of the year it is complete darkness by 5 pm. For visitors from the EU and Switzerland (note, this might change soon – hmph Brexit hmph), the USA, Australia, Canada, New Zealand, Japan, most South American countries and many Caribbean countries, no visa is needed. If you’re from other countries, you may need a visa to visit London – you can check here. Most visas allow you six months in the UK – so if you get stuck in London, no worries! If you’re from some selected countries you can apply for a working holiday visa. You can also work in London if you’re from an EU country or Switzerland (again, this may change!). London has six airports, all of which are very well connected to the city, but it pays to have a think about which one you will be going to in advance. None of the major airports are actually in the city – Gatwick is South, Heathrow is West, Stansted and Luton are North and London City is east – so check with where you’re staying and what time you’ll be getting there. Taxis from each airport are expensive. Try to arrive before public transport shuts or get a coach (some which run all night) into the centre. ⇒ Extra Tip: Click here to buy a ticket to Central London from Gatwick, Stansted or to and from Heathrow. Underground is the only real way to travel around London. You can walk, but there’s no doubt that you’ll need to use the underground system at some point. If you’re from a city that uses a similar system, it won’t be too overwhelming – but check out the underground map to get an idea of whereabouts you’re staying and how long it will take to get to different attractions. Good to know: Uber is becoming illegal in London very soon. This is because of the loss of business that black cabs have suffered since its introduction. London cab drivers are generally incredibly friendly and very knowledgeable about London (they have to go through a very rigorous training system), so hail a cab for an authentic London ride! London is, in many ways, an expensive city. But it’s actually pretty adaptable to all budgets – and you can still see a great deal of London without splashing a huge amount of money on your trip. Are you a budget, mid-range or luxury traveler? Do you want to stay in hostels or swanky hotels? These questions are crucial when you’re working out your London budget. It’s easy to keep things cheap by using hostels, buying street food and visiting free attractions (you can actually see a lot of London’s highlights for free). If you have a bigger budget, you might want to include decent hotels, dinners out and a few paid-for attractions. And of course, if money is no object, there are plenty of luxury hotels, fancy places to eat and premier tourist attractions to enjoy. • Are there many bars/ clubs in the local area? This might be an essential if you’re a young adult group but you might want to steer away from them if you’re a family! • Will you have to take an overland train to reach central London? Accommodation in the suburbs is often cheaper, but it will be a bit arduous to travel in and out of the city every day. However, if there is a group of you, Airbnb in suburbia are often of great value. • Is it near the main attractions you want to visit? London is a big place, so at least staying on the right side of the city to your top attractions is a good idea! • Is it accessible to your airport? Nearly every area of London has a mix of hostels, budget, mid-range and luxury accommodation options. 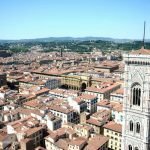 The further out you get, the less likely you are to find backpacker accommodation, but it is plentiful in the city centre. 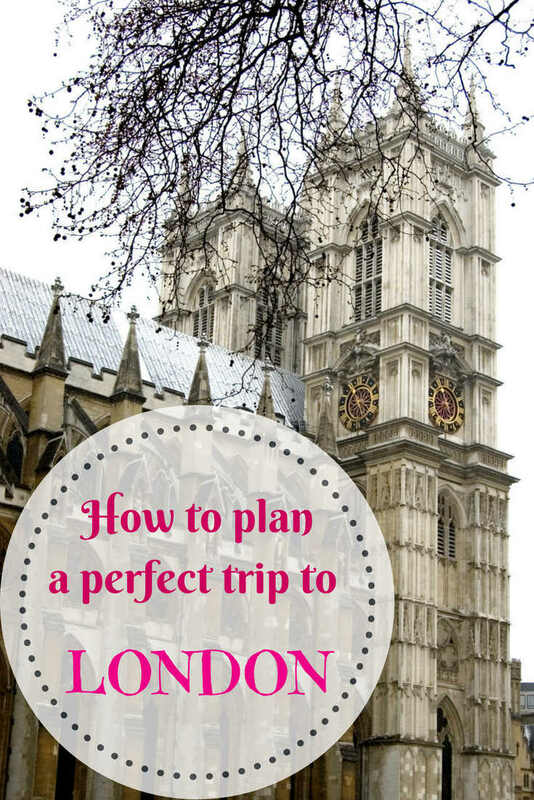 You don’t need anything too fancy to plan your trip to London. It rarely gets ridiculously hot or cold (although we always like to complain about the weather! ), so just pack according to the seasons. Bear in mind that even in the summer, it can be between 10 and 15 degrees if you’re unlucky. In the winter, coats, scarves and gloves are essential. • An umbrella – it does rain a lot here! There are actually a lot of free places to visit in London; and if you’re on a budget, you can easily plan your trip to London around these attractions. Most London museums are free to enter and explore. Some of my favourites are the Natural History Museum, the V&A Museum, the British Museum, the Museum of London and the Science Museum. Or if you’re artistically inclined, the National Gallery and the TATE are also free to enter. Walking around the city and exploring its different neighbourhoods are of course, free. Some great places to stroll around in are Covent Garden, Southbank, Shoreditch and Greenwich. You’ll pay for any purchases at the markets, but not to just explore them. The best are Portobello Road, Camden and Old Spitalfields. Equally, the parks are free to explore and a place to include in your London itinerary. Check out Hyde Park; which is huge, a great place for kids to play or to have a picnic in the summer, or St James’ Park which is right by Buckingham Palace. If you are into Harry Potter, you can easily create your own self-guided tour around the famous landmarks used in the Harry Potter books and films. ⇒ Extra tip: Click here to book a full-day tour to the Warner Brothers Studios and visit Harry Potter film sets. Speaking of which, it is free to see the change of the guards at Buckingham Palace. And there are other ways to see the best attractions in London; you can actually visit Westminster Abbey, St Paul’s Cathedral, the Tower of London and the Houses of Parliament. Westminster Abbey and St Paul’s Cathedral are free to enter if you are part of a service. 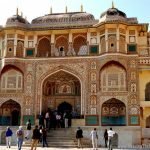 Bear in mind that you will not be able to explore the buildings at your own leisure, and the fact that it is a religious ceremony must be respected, but you will be able to awe at the grandeur of each building. The Tower of London can be visited for free during the ceremony of the keys – where you will witness the castle being shut for the night. Bear in mind that the free tickets for this event normally run out months in advance, although there are a limited number of cancelled tickets available each night. ⇒ Extra tip: Click here to book a tour to the Tower of London and the Crown Jewels Exhibition. Anyone can attend a debate at the Houses of Parliament. These do not generally need to be booked in advance unless it is a very popular debate. Prime Ministers Question Time, however, must be reserved. As you can see, a great deal of things to do in London won’t cost you a penny! However, some attractions are much better paid for – and some you can only experience by handing some pounds over. • London Eye – rated the top paid-for attraction in the UK, there’s no experience like ascending over the city. You’ll be able to see the entire metropolis, and into the home counties. The price of tickets varies. ⇒ Click here to book a 4D experience on the London Eye with fast-track admission. • London Dungeons – there are dungeons all over the globe, but London’s are fantastic – they tell the goriest stories of the capital, in a terrifying way! From Jack the Ripper to the Great Fire in 1666, there’s plenty to learn about within the London Dungeons. Tickets start from £21. ⇒ Click here to buy London Dungeons entrance tickets. • Westminster Abbey – even though you can see Westminster Abbey for free, it is well worth entering at your own leisure. It is the resting place of hundreds of monarchs and other notable characters and is home to the coronation chair which is still used today. Tickets cost £20 if you purchase them online. ⇒ Click here to book a tour to Westminster Abbey with audio guide included. • St Paul’s Cathedral – again, you can enter during a service for free, but visiting during your own time will give you the freedom to take in the grandeur of the interior of this building. It’s an experience that’s well worth not rushing! Expect to pay £18 for tickets. • Buckingham Palace – you can’t enter the queen’s home for most of the year, but during the summer when she isn’t there, tickets are available for guided tours of the state rooms. Obviously, this is a one of a kind experience! Tickets cost around £24. ⇒ Click here to book a tour of the royal state rooms at Buckingham Palace. London is one of the most accessible places in the world. Whether the next leg of your adventure takes you to Manchester, Madrid or Mexico, you’ll be able to get there easily from London. Coach is the most budget-friendly way to get around the country. They leave from London Victoria coach station and go to pretty much every city and lots of large towns in the country. Even if a coach does not go directly to your destination, you’ll most likely be able to get a local bus or train for the last leg of your journey. The two coach providers are National Express and Megabus; Megabus is generally (not always) cheaper, but National Express serves more destinations. Train is another popular way to get around. Although a lot more comfortable than coach travel, it can be multiple times the price! For cheap tickets, check RailEurope. London has several large overground stations that serve pretty much everywhere in the UK. Car rental is another option, although I wouldn’t recommend driving in Central London. If you are wanting to visit more regional places, it might be the best bet for you. Flights leave from London to most destinations around the world – a non-stop flight between London Heathrow and Perth, Australia has even just started this year. Airlines like RyanAir and EasyJet provide great value across Europe, with some fares less than the price of lunch. If you are travelling elsewhere in the world, you’ll be able to get a flight from London with none or not too many connections. Flights now leave Heathrow and Gatwick to every continent. Book in advance to get the best deals! Bio: Claire is an eco-traveler and overland adventurer. She explores the world slowly, one country at a time, and is as sustainable as possible in the process. She writes about sustainable tourism, cultural awareness and publishes overland itineraries on her blog, Claire’s Footsteps. She has spent a lot of time in Australia and China, she is originally from the UK and she is now living in Mexico.